KIM LAWTON (Managing Editor and Guest Anchor): There has been an outpouring of interfaith sympathy and support for the US Sikh community after last Sunday’s attack (August 5) at a temple near Milwaukee that took the lives of six worshipers. In what officials called an act of domestic terrorism, a gunman with neo-Nazi ties opened fire as local Sikhs—or “sicks” as some adherents call themselves—had gathered for a worship service. Religious groups across the spectrum condemned the attack. Many communities held prayer services and vigils to remember the victims and to pray for religious tolerance. Groundswell, the social action initiative of Auburn Seminary in New York, gathered thousands of messages of hope and healing for Milwaukee’s Sikh community. They called the project “We Are All Sikhs Today.” Groundswell’s director, Valarie Kaur, who is Sikh, delivered the messages in person. She joins me now from Milwaukee. Valarie, thank you for being with us. Why did you feel it was important to bring these messages? 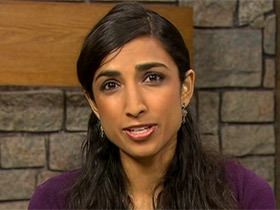 VALARIE KAUR (Groundswell, Auburn Seminary): Well, this is a tragedy not just for the Sikh community, but for all Americans, and I know that many Americans were hungry to express their love and support in some way. They understand that this is deeply personal for every Sikh American in this country. That when we see the television screen we see our own gurdwaras, we see our own aunts and uncles, our own brothers and sisters, our own children caught in the gun fire. And so every message sent, every prayer whispered, every candle lit has meant so much, not just to the Sikhs in Milwaukee but across the country. And we felt it was important to deliver those messages in one piece to the people here on the ground. LAWTON: And there in that community, a week later how are people doing? How are they coping? How are they trying to rebuild? 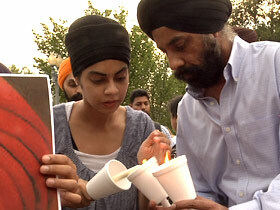 KAUR: Well, people are in deep grief and sadness, but they’re not letting that grief paralyze them. They’ve understood that this moment is unprecedented in the history of the Sikh community. You know, my grandfather came to this country one hundred years ago, and in one hundred years we have never entered the national spotlight like we have in the last few days. So the family members, community members are finding the courage to step before the sea of cameras, to tell the story of the Sikh faith to the American public, many of whom are not, have not known about Sikhs before. And they are also finding the courage to call for an end to hate violence, not just against the Sikh community but all Americans still struggling in this country. It’s been deeply inspiring to be here to witness that. LAWTON: And what is there in the Sikh faith, in the spiritual tenets, practices, that people are really calling upon during this time of tragedy? 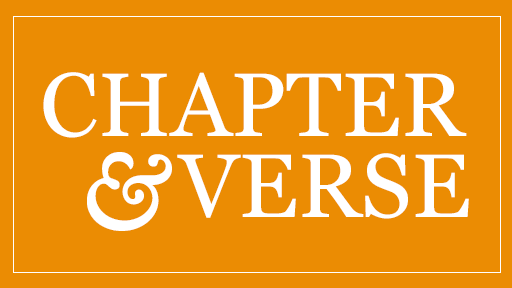 KAUR: The spirit of resilience or chardi kala is deep in the heart of the Sikh faith. I was just at the gurdwara when it reopened and allowed community members to step inside and when they stepped inside it was still a crime scene. There was blood on the carpet. There were bullet holes in the walls and in an instant I saw Sikh men and women jump into action. They were scrubbing the floors. They were painting over the bullet holes. They were repairing the broken windows, listening to prayers as they worked together. I was literally watching a community rebuild itself before my eyes, just hours, just days after the attacks. And so I think that spirit of resilience is something that we’ve drawn upon from not just a hundred year history in this country, but a five hundred year history where Sikhs have died for their turbans, died for their faith, but drawn from their faith in order to rise up again and not be afraid, and that’s what I’ve seen here on the ground in amazing ways. LAWTON: And what does this moment mean for the entire Sikh community across this country? KAUR: At the town hall meeting the other night, Sikh community members spoke to the White House, to the Department of Justice and the FBI, and every single one of them said, you know, what happened on Sunday was not an isolated incident. This is part of a struggle that we are experiencing, that we have undergone for so long, to be seen as Americans in this country. Our children are still bullied, our men are still searched, profiled at airports. We’re still facing discrimination in workplaces, in the U.S. military, for example. And we still face racial slurs. We still face hate violence, so they’re calling upon our nation’s leaders to help this community and all communities who are struggling for full rights and recognition in this country. So this is the work going forward after this week. LAWTON: And, very briefly, is there a message for all America here? KAUR: Yes. This is—this moment calls us to do much more than put up tougher laws against gun violence. This moment calls us to have a national conversation about the rise of hate, fear, and discontent in this country. The difference between the coverage of Aurora and Oak Creek shows that this is a harder conversation for our nation to have, but this means that everyone, every American listening right now is called upon to join us, to recommit to a vision of a country without terror, without fear. LAWTON: Alright, Valarie Kaur. Thank you very much for being here. KAUR: Thank you for having me.